Education is most essential part of our life which makes your own identity throughout the world by learning in the most positive environment where you get support from your teachers who nurture your skills and strengthen your innate talent which is appreciated by parents. While making students more intellectual, teachers always faced a problem with Student Behavior. 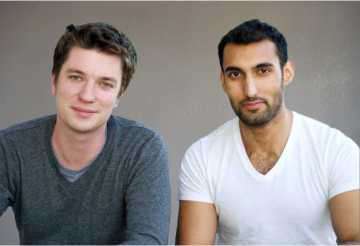 Sam Chaudhary and Liam Don, Co-founders and youngest entrepreneurs, Designed ClassDojo- a behavior management software which is the perfect solution for classroom to help teacher solve their problem through real-time feedback & online rewards, which is signed up by approx. 6 million teachers & students within a year and awarded by the Education Nation Innovation Award. Teachers use smartphones or tablets to record & inform students about their good & bad behavior; according to Sam & Liam 90% of interactions with the tool is positive, which has shown dramatically improved classroom culture and increased educational quality. Sam was born in the United Kingdom and lives in Wales & Abu Dhabi where he earned an economics degree from Cambridge. Liam was born in Germany and was grown up in London and earned a degree in computer science from the Durham University. Sam & Liam found that improving student behavior is one of the biggest problems faced by teachers. ClassDojo collects millions of behavior observations every day and 95 % of them are positive. According to research if you focus on building students’ character and persistence early on, that creates a 3 to 5 times multiplier on education results, graduation rates, health outcomes. It is pretty intuitive. Basic thoughts behind the concept is that we should not just reduce people to how much content they know; we have to develop them as individuals. Teachers are using this tool to build positive behavior, where they get so much positive emotional feedback every day. Getting loads of emails from teachers & parents telling us how ClassDojo has improved their lives and reshaped their classrooms. ClassDojo was designed in 2011 and since then it has been widely used across too many countries available in multiple languages. It has developed from a website to a mobile application that is easily accessible from anywhere by teachers, parents & students. Sam & Liam are still working on ClassDojo to make it more effective & useful.